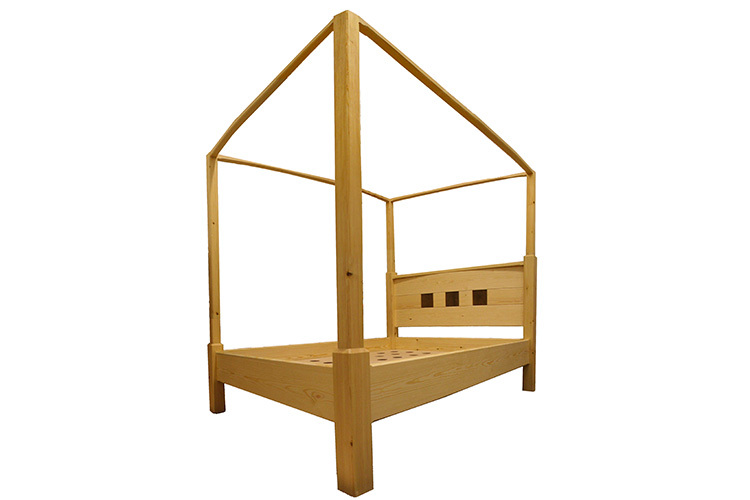 Beds can be made to fit any mattress size, and drawers can be built in for useful storage space. A large headboard can be a used to display a beautiful piece of timber, while bedside cabinets and chests of drawers can all be made to match. Examples in this section include a bed made from solid cherry, a striking piece made from pippy oak and a modern four-poster bed.